STI thread plug gages made to ASME B18.29.1 - Helical Coil Screw Thread Inserts--Free Running and Screw Locking (Inch Series), will have a different no go major diameter than STI thread gages made to MIL-T-211309/A-A-59158. ASME B18.29.1 does not list tables of gage sizes, but instead states to make the gages per the formula in ASME B1.2. The major diameter of a no go plug is made to the standard formula of “NoGo P.D. + 0.43301270P. Since the major diameter of a no go plug gage is only a clearance dimension and does not check anything, either gage standard is correct and completely functional. 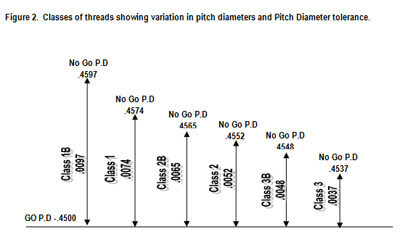 For more information on STI thread gage and other types of thread gages, contact info@threadcheck.com or visit www.threadcheck.com. 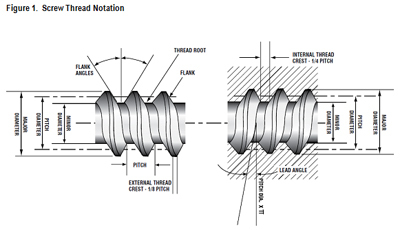 Thread Check Inc. has introduced a technical video series on gaging and measuring instruments. The first 3 videos with cover the basics of how to use thread plug gages, ring gages, and Thread Check's digital thread depth gage. The videos will help in answering the common question the company has received over 30 years. Thread Check plans to release more educational videos in the near future. The videos will assist Thread Check's customers' with gaging and measuring applications. All videos will be available on Thread Check's web site as well as posted to Thread Check's You Tube account. The videos are being produced by Ofer Cohen of Rabbit Foot Productions. Ofer Cohen is an accomplished videographer and independent filmmaker with over 30 years of extensive and diversified experience in global events, travel, adventure, and industrial work. The first video on How To Use Thread Plug Gages explains the basic thread nomenclature specified on gages and handles and discusses the importance of calibration, handling and storage of the gages. The video provides clear detail on the basics of gauging a part with both the go and the no go gage members.